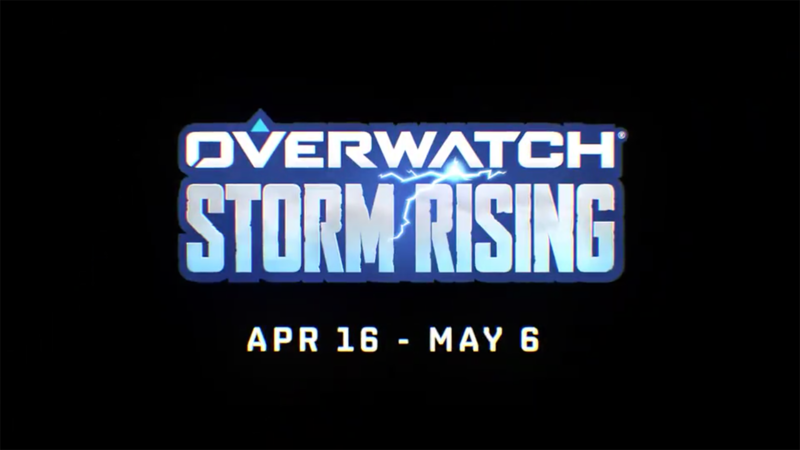 Overwatch: Storm Rising confirmed for next week – AiPT! Blizzard’s latest Overwatch PVE event will run April 16 – May 6. Blizzard has announced Overwatch’s third and newest Archives event, Storm Rising. This follows the previous two Archives event chapters, Uprising and Retribution, with the newest taking place six years from current day in Overwatch canon. The announcement comes to us via the Overwatch Twitter account, revealing that the event will begin April 16 and run to May 6. Teasers for the event first started trickling out via the Overwatch Twitter account a few days ago. A Tweet that included a decrypted audio clip from the Overwatch archive files, saw a mysterious woman named Sojourn speaking to Commander Morrison, aka Soldier 76. “Commander Morrison. I have a proposal. We’re going at catching Doomfist the wrong way. He’s clean, but his accountant, Maximilien? Follow the money and you’ll find the dirt you need. I know you’re worried about sending the strike team out again after what happened with Reinhardt. But I’ve been working with them and I know they’re ready.” says Sojourn. Sojourn already has audio files, which means she has a voice actress, which tells us that it’s highly likely that she’s an upcoming hero. The event will almost definitely take place in Havana, Cuba on a brand new map. Another teaser Tweet released by Blizzard a few days ago pointed fans to a new blog post, which when combined with the information from the above mentioned audio clip, tells us that the event will follow a strike to Havana in a hunt for Doomfist’s accountant — Maximilian — during a hurricane. As with previous Archives events, players can earn a slew of new cosmetic items, 160 in total. There are presumably going to be a number of new skins, and players can also unlock skins that were exclusive to previous Archive events.